Today is the day AMD is set to release a new GPU into the market with its Radeon VII video card. Early rumors and ramblings from the AMD camp has this card pegged as a $700 (MSRP) card which is said to compete with NVIDIA’s RTX 2080 on the performance front, gaming at least. The card should do well in compute as the silicon it is cut from, the professional MI50/60 cards, are professional/server type of cards. Sadly, we were not seeded a sample to review today, but hopefully soon we will be able to test it ourselves. In the meantime, we have compiled some specifications so our readers have some information about the cards from here as well as providing links to reviews of the card itself for some deep dives. In the end, it appears the card is notably slower on average than the RTX 2080 AMD set out to compete against. There are some titles out there which seem to prefer AMD and the card is able to punch up a half weight class and reach/surpass the RTX 2080 but for the most part is looking up. As the resolution goes up, the HBM bandwidth helps shrink that gap. Power use on these cards are a lot higher compared to the RTX 2080 as well (300W and 225W TDPs) so if being green is paramount in your decision, looking elsewhere will have to happen. Noise levels on this card compared to the RTX series FE cards was also higher in testing. Though it was rumored we wouldn’t see them, at least one AIC partner (Powercolor) showed off their cooling solutions so there will be other likely better options available down the road. 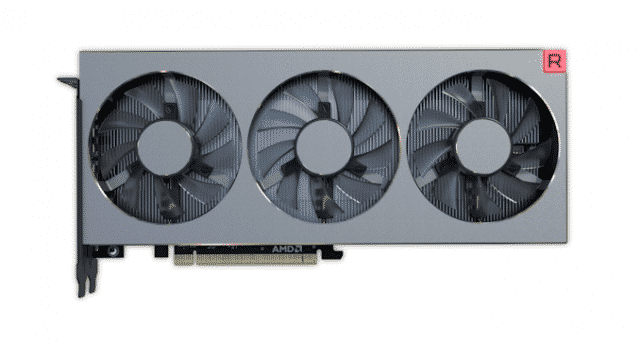 Performance and power use aside, the main concern with many on this GPU is AMD isn’t winning the price to performance metric as they have typically done on both the GPU and CPU side of the house. With a price coming in at $699, it is the same cost as the RTX 2080. Where the card should shine compared to most RTX counterparts is on the compute front. The card is essentially an Instinct MI50/60 that is cut down. However, the MI50/MI60 have full compute abilities and this is cut back comparatively. Compute testing at Anandtech (though it didn’t have 2080Ti or RTX Titan) showed it easily bested the RTX 2080 in many tests. So if compute performance is a requirement, the Radeon VII does appear to be the best option for most situations here. That said, competition is good, and we have a card which is notably quicker than Vega 64, and tickles the high-end market AMD is looking for while keeping compute a priority. Overall the Radeon VII feels like a card that was released to remind people there are other choices in the market but it didn’t seem to hit most user’s performance target (wants) nor pricing. 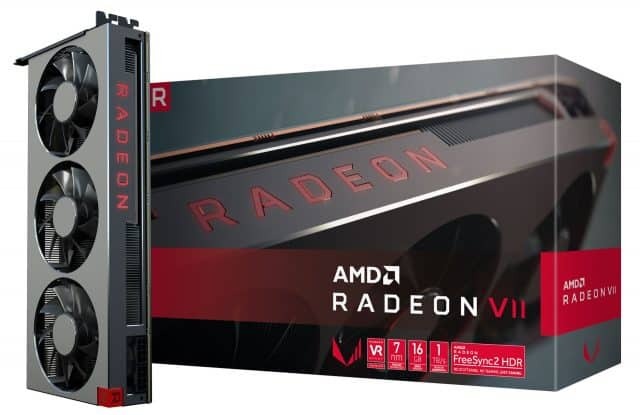 Whether or not the AMD Radeon VII is worth it, is certainly up to the buyer however! We don't have a review sample (yet... missed the first round), but we have a short and sweet summary along with links to quality reviews inside. I actually had the chance this morning, got to the Newegg page while both Asrock and GB cards were still in stock, but this 980 is still doing "well enough" at 2560x1440/60hz. They had the XFX card up for $100 below MSRP but specs at a glance looked the same - was wondering if it was an error on the Egg's part as I think in one of their newsletters they had the XFX at $700 as well. Pretty sure it was the first one sold out though. Edit - Must've been, looks like they changed it to match the other VIIs now. Anyone get an order on one to see if they're honoring it? I don't know how they expect to sell any at $700. Updated drivers may give some improvement but still . . .
Yeah, the power is just kind of out of control. It isn't a huge deal on your bottom line, but more power use = more heat and additional mitigation efforts potentially. Sorry, I didn't actually read the OC Forum article but saw the TechSpot article first and it was dated today. Man, I hope the 7nm CPU AMD is coming out with soon does better than their 7nm GPU. I think we all do.. this one was a but disappointing unless you can use its compute abilities. Spotted at the regarding the HBM2's place in the market for this card. So I guess the wattage is worth it in some scenarios, even before the tweaking wars begin. Surely it is in compute and 4K editing... these are generally, prosumers. Is there any word on why they are sticking to 16GB on their consumer line as opposed to cutting it down slightly (to say 12gb) to cut price, then launching 16gb variants under the Firepro line (or I guess it would be the RadeonPro now)? I'm assuming having an HBM2 line for prosumer/workstation cards then a cheaper GDDRxx line for some of us "little people" would be too great a change in memory controller architecture for the same generation. Their pro line are called Instinct with the cards named MI50 and MI60..
What is the meaning of "compute" as used here. Number crunching? The MI line is their enterprise/data center solution. They still have their Radeon Pro line for professional workstations (and some spill over to data center). What about mounting the card outside the case and use an extension pci^x cable? That might help keep the case cooler and possibly oc vid card higher due to more cool air. Why have a "Frontier Edition" and a "Gaming Edition" (aka 64/56) when you can just sell it as one PCB? Λ There's a note on the that AMD released an update to resolve the UEFI issue. For me it's total disappointment. Card is expensive ... and in EU costs much more than supposed to. RTX2080 is cheaper, performs better, uses less power, generates less heat ... no idea about what AMD is thinking releasing product like this in so high price and very limited quantity. There is a chance I will get one for review but it's a low chance as my vendor will probably move all cards to the sales department (because of low availability and all are AMD reference anyway). I assume it is a bios update, which, frankly is unacceptable for a card manufacturer to require a normal user to do.